Perhaps its that Valentine’s day is just around the corner and I’m in a mood for hearts? Or perhaps it’s the idea of mixing a drink off that bar cart that appeals to me? Either way, I’m feeling this little nook today. 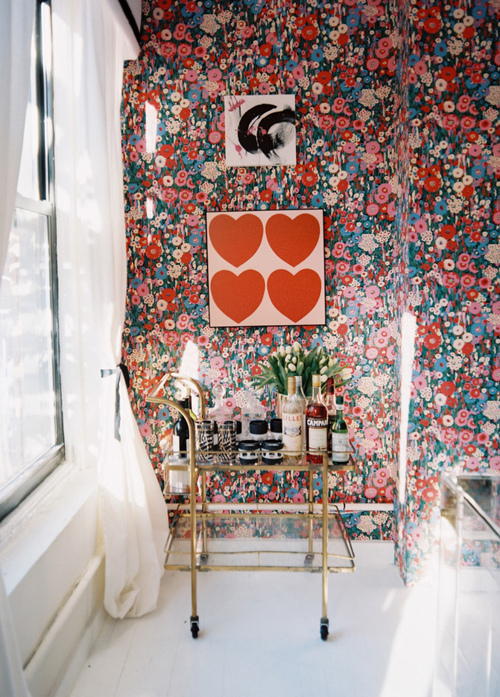 I love the bright red and pink hues and all of the bold pattern — it’s loud in the very best way. Out in the open. Jewelry for your shoes.